Takeaway: Keep your head up out there. You don't want the Fed to smash your face in. Earlier this morning, a listener on my firm's morning macro call asked me an important question. What is the biggest threat to the bear case right now? 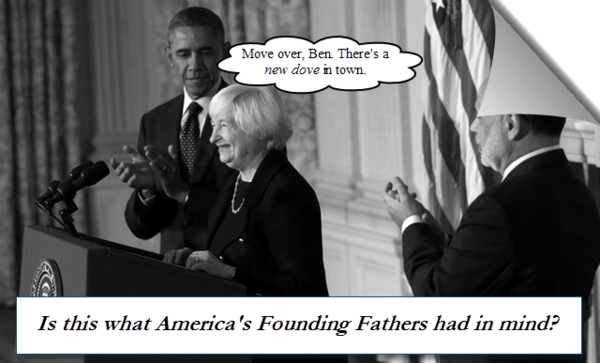 Janet “Mother of All Doves” Yellen reverting the Fed back to full blown dove? Stop right there. From my market perch, the greatest threat to the bear case right now is Janet Yellen. In other words, Janet Yellen being Janet Yellen. Here’s how this risk might hypothetically play out: our new, all-knowing, omnipotent Fed Head recognizes a day late and a dollar short that growth is slowing. 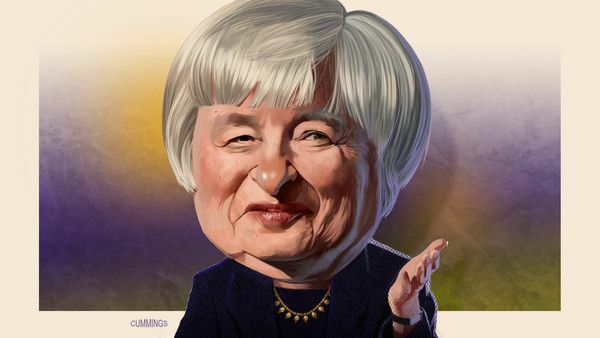 She says to herself, “We’ve got to stop this tapering!” She picks up her phone, calls the Fed’s mouthpiece Jon Hilsenrath over at the Wall Street Journal, and shows him her cards. You know what happens next. Someone gets an early whiff of the leak. Voila! “Suddenly” the S&P 500 is up 5 percent. Just like our Founding Fathers envisioned in 1776. That there is the key risk to being bearish right now. The other risks? They are “known knowns.” I’m not worried. Emerging market contagion? Are people seriously still debating that? We’ve been bearish on emerging markets for over a year now. That’s nothing new and certainly not something I’m losing any sleep over at night. Look, emerging markets have been a total disaster. Just to get anywhere near back to breakeven, emerging market bulls are probably going to have to fast forward to the year 2020. What I mean by that is that when you break the “tail,” there’s basically no support whatsoever down 300-400 points below. It’s really not something you want to mess with. The corollary is like walking up to some dog you don’t know and pulling on its tail. Now, you can go ahead and roll the bones on that. Have at it. Maybe the dog will even lick you. But there’s also an outside chance it’ll turn around and bite your arm off. As far as the “Trend” (a duration of 3 months or more) is concerned, it has the best back test in our model. The math works really well here. When trends reverse from bullish to bearish (or the other way around), that’s when we make our best calls, because it’s typically where consensus gets caught offside’s. I really like to lean when the trend breaks one way or another. Right now, the trend is breaking the wrong way, and gold is breaking the right way. That’s why we’re doing literally the opposite of what we were doing a year ago. If you were on our morning macro call a year ago, you would have heard me saying short gold and buy U.S. stocks. At any rate, the biggest bear risk right now is clearly “Mother Dove.” She’s the most important wild card that I would be worried about right now. Central Planners remain the greatest market and economic risk out there. HAIN – Gross Margin Headwinds Sting? REPLAY: U.S. Economy Update Call: What Is Priced In?